Window Wise is certified by TrustMark – the only Government endorsed scheme for trades in and around the home. This accreditation is awarded after thorough vetting and on-site inspections to ensure the firm is raising industry standards. 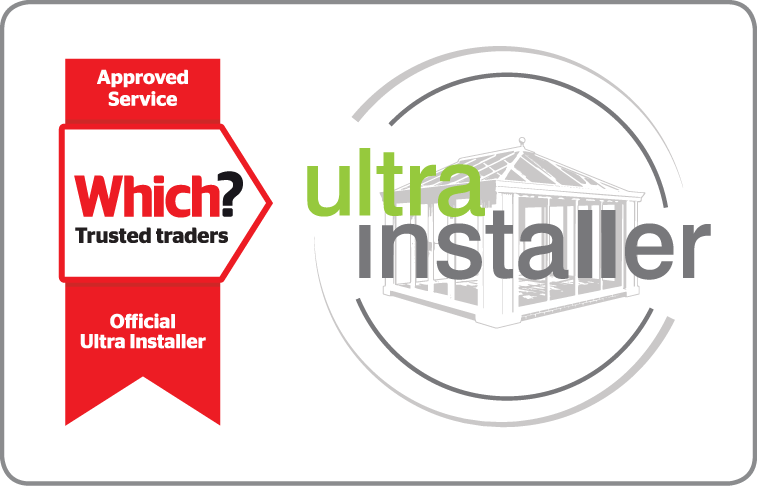 Ultra Installers are assessed by both Which? Trusted Traders and Ultraframe for quality conservatories, orangeries, extension and replacement roofs. Window Wise’s acceptance into the scheme recognises our high standards of work in the area of orangeries and conservatories, our experience of which has seen countless homes in East and West Sussex improved by our installations. Window Wise is a member of Planitherm’s network of traders. Planitherm is a leading provider of a range of modern, high-performance glazing for the home. Not only is it the country’s leading energy-efficient glass, you’ll also find a host of features across the range to help maximise comfort in every part of your home, making it a relaxing respite from the outside world. Window Wise is a ‘Buy With Confidence’ Trading Standards Approved business. Businesses are only included once they’ve completed a series of stringent checks, including a visit by a qualified Trading Standards professional. Window Wise is certified by FENSA – a government authorised Competent Persons Scheme for the replacement of windows, doors and roof lights in England and Wales. To achieve this certification, Window Wise has undergone a strict vetting procedure and are routinely inspected to ensure Building Regulation compliance is maintained. As a GGF member Window Wise complies with the GGF Consumer Code of Practice, which is approved by the Chartered Trading Standards Institute and has strict requirements regarding the conduct of Member companies ensuring they comply with all relevant consumer legislation. All GGF Member companies are audited on a regular basis to ensure their compliance.